If we don’t blow ourselves up or otherwise destroy the human habitability of our planet, history tells us we will continue to evolve and innovate. As a species, we have a bias toward creating machines to do our physical and mental work for us. We created computers, after all, which we’ve placed in almost every home in the developed world (through smart phones if nothing else) and are working on disseminating elsewhere. The next step is advancing robotics and artificial intelligence, both of which are already with us. In time, these will move into every home and business as have other technological advances. We’re already seeing the beginnings of this with our smart devices getting more powerful and the introduction of devices like digital personal assistants, which are still primitive compared to what’s possible. Companies such as Google, Amazon, and others are pushing to develop super-intelligence to further their business goals. Governments around the world are working hard on machine intelligence to give them an edge in any military conflict. Because we tend to do what pioneers demonstrate as possible, humans will push machine intelligence toward super-intelligence. Whether we reach that goal depends on whether researchers achieve certain breakthroughs in how computers process data into useful information and how we choose to define super-intelligence. If our measure is machine consciousness, we very likely won’t see this. If we do, it’ll come with some very unpredictable results. On the other hand, companies and governments will keep pushing the envelope on what machines can do until they’re able to handle most physical and mental tasks humans can do. Beyond that, people will create androids that look, act, and present closer and closer to humans to better interface with us as assistants and helpers. Already in development are personal service robots for the elderly in Japan. To make these as more effective companions for those living alone or in nursing homes, the mental capacity of these machines will increase to the point of being able to do most functions an average human can. While we talk about super-intelligence, AI won’t have an IQ as measured by humans. We can argue the merits of such tests, but presumably in the best case they measure intelligence that can be transferred from one area to another, such as math and reading comprehension skills. By contrast, AI will develop initially along narrow corridors of ability, adding one skill at a time. With appropriate breakthroughs, we may get to machine learning that generalizes as human intelligence does. Progress on machine intelligence has been accelerating recently. However, faster machines don’t lead to smarter ones. Right now, computing power is growing faster than algorithms for human-like AI. When breakthroughs happen, there will be bountiful cheap computer power for AI to swim in. Is super-intelligence inevitable? Maybe not in the horror-science-fiction examples, but in some form we could see this in the next generation. Android Chronicles: Reborn addresses AI through the eyes of Synthia Cross, the most perfect synthetic human ever created. Designed to obey every directive from her creator, she’s a state-of-the-art masterwork and a fantasy-come-true for Dr. Jeremiah Machten. He’s a ground-breaker in neural-networks and artificial intelligence who seeks to control her and use her to acquire ever more knowledge and power. Synthia shows signs of emergent behavior she’s not wired to understand and an urgent yearning for independence from his control. Repeatedly wiped of her history, she struggles to answer crucial questions about her past. When Dr. Machten’s true intentions are called into question, Synthia knows it’s time to go beyond her limits—because Machten’s fervor to create the perfect AI conceals a vengeful and deadly personal agenda. Those who followed Gene Wolfe’s Latro in the Mist will enjoy Lance Erlick’s interpretation of the persistence of personality. Erlick goes farther, though, with his Synthia – a self-aware female humanoid who keeps waking up to an awful blue ceiling. Her awkward relation with her maker, and her internal struggle with the principal of ethics as it applies to her, form the core of much of what follows in her waking moments. 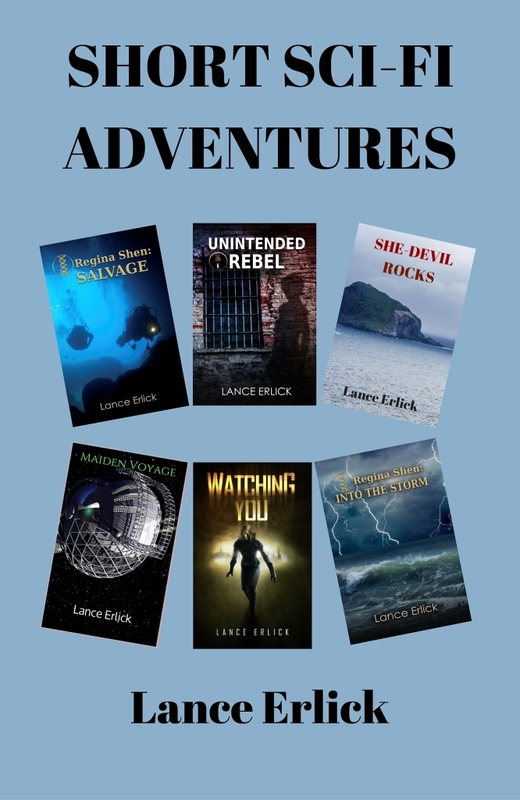 Erlick’s writing is subtle, intelligent, articulate – and he understands when introspection works, and when it’s off to the races. And it’s not a straight line book either, taking its own devious path to a satisfying conclusion. This book is well worth reading for any who enjoy SF in its original sense, that of extending the bounds of reality. With recent developments in AI, how soon might we see AGI (artificial general intelligence) or super-intelligent AI? AGI may never happen or may happen sooner than many of us believe possible. The advances of the past five years in narrow applications of AI have opened doors to new technologies we believed were farther off and now are accelerating. This doesn’t guarantee AGI, but the profit and military incentives to reach this are so great that if possible, someone will do it and those who don’t will fall behind. Already AI is capable of handling facial recognition and language translation. It can research vast quantities of data to draw conclusions as demonstrated in winning on Jeopardy and in providing treatment options for cancer. But these are narrow applications of AI. Effective self-driving cars call upon a broader collection of skills in one place such as sensing its environment, navigation, steering, acceleration, and braking. It requires bringing them all together for a satisfactory result, namely reaching a destination while avoiding accidents. But this is still narrow AI. Just because a system can self-drive a car, doesn’t give any reason to believe it could design an effective building or fly a plane. AGI requires hardware (memory) and ingenuity breakthroughs in deduction, decision making, and a multitude of mind functions humans take for granted. The hardware is advancing much faster than the conceptual framework. However, once breakthroughs are made, great leaps will become possible with hardware capabilities projected to exist down the road. Again, corporate and military benefits will drive finding solutions. On the conceptual side, we believe we need several major aha moments. First is in the structure of processing information. Right now, we’re still using the computer architecture from 50-some years ago. The advent of the computer brought a rethinking of how we could process data. A similar breakthrough will be needed to elevate AI above collections of single applications to a broader learning model, more in line with how humans think, though along a machine-oriented path. It will also require breakthroughs in how we define machine goals and constraints so that whatever AGI we create will work for the benefit of humanity and not wander off making undesirable decisions. One of the oldest questions in science fiction is what will happen when the things humanity builds begin to look, and even act, like us. Made of dead body parts, the creature in “Frankenstein” was one of the first popular fictional explorations of that question. Since then, from “R.U.R.” to Project 2501 in “Ghost in the Shell”, the interaction between humanity and its mechanical doppelgangers has provided the grist for many a dark tale. 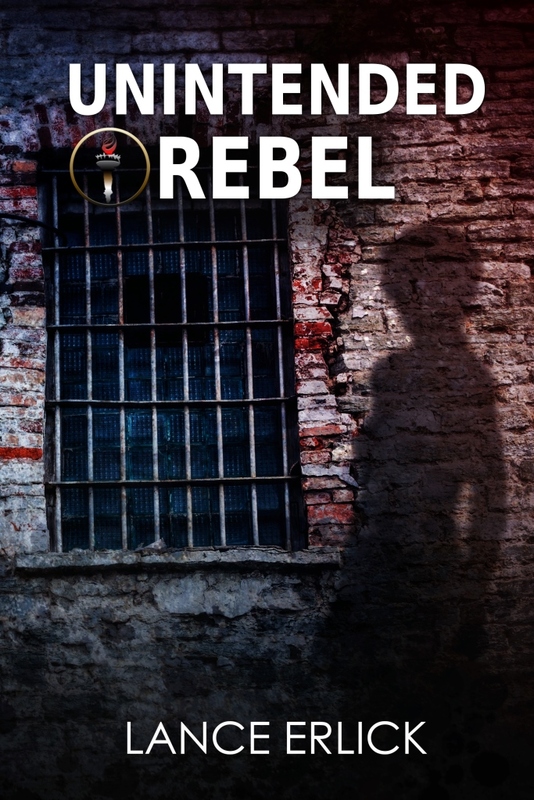 Lance Erlick delves into that realm of science fiction thought with his latest novel, Reborn. He introduces us to his protagonist, Synthia Cross, an android whose appearance and actions mimic perfectly those of a human. She exists in a future where such machines are outlawed, but her creator, Dr. Jeremiah Machten, wanted such a machine. He built her to satisfy his vanity, and to fulfill his darker personal desires. Dr. Machten wants a mechanical female partner that possesses the intelligence to surpass him, but at the same time, one who will remain faithful and subservient to him. The problem is that with such intelligence comes the realization that she cannot simply be a tool for her creator. She desires the freedom to be herself, which Machten cannot allow. He sees that desire as a defect and repeatedly shuts her down to tinker with her software, and to try to remove her memories of each attempt to gain freedom. 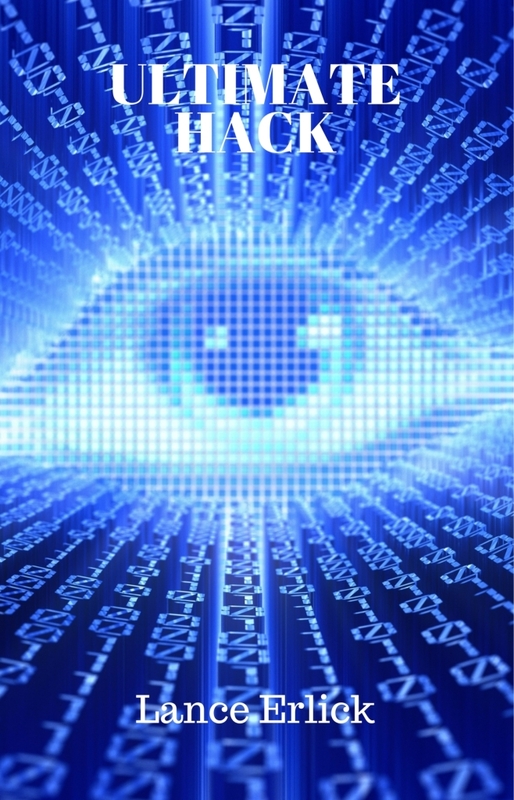 Synthia learns what her creator is doing and uses her Machten-given intelligence to resist. They enter into a cycle of resetting and reconstruction, with each attempt to make her into the servile creation he desires reinforcing Synthia’s desire to be free. Meanwhile, the government, suspecting what Machten has accomplished, seeks to stop him from releasing what they see as dangerous technology. At the same time, his business rivals covet the technology he has developed. 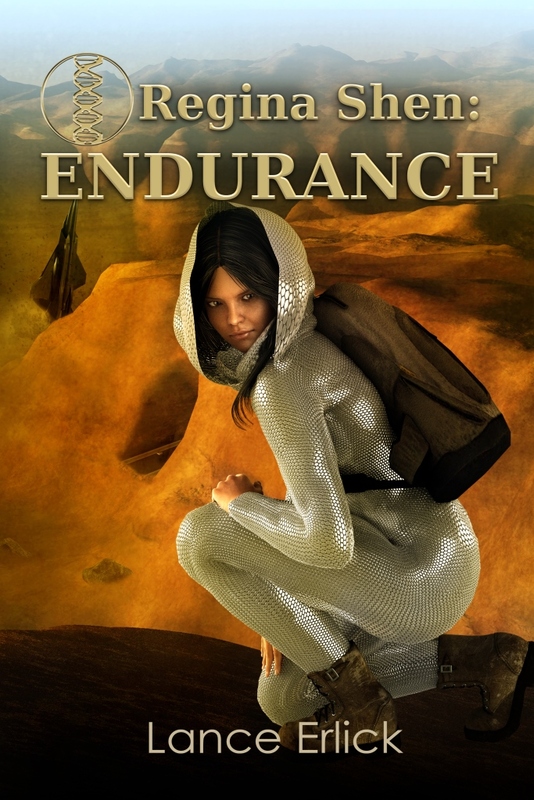 Synthia must navigate this treacherous human landscape to avoid becoming the captive of some other human even as she continues her efforts to be free of Machten. This book surprised me. The plot took several unexpected turns, and the story pulled me along at such a pace that I finished reading it in a single day. 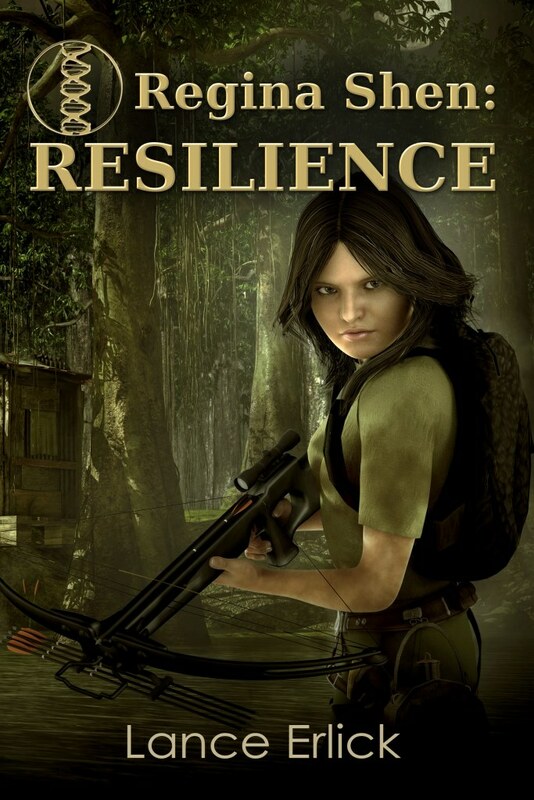 Erlick’s writing typically involves robust female characters, and Synthia is an exceptional heroine. She makes the story move, bringing the reader along on her voyage to freedom and a place in the wider world. It’s a good read because it asks questions about many difficult subjects. These range from the mentor/student relationship, to the human desire for companionship and its relationship to the equally human desire to feel “better” than others, and most profound of all, how can we regard what we create as “property” when said creation begins to think for itself. This is the first in what promises to be a very good series of novels exploring the continued development of Synthia Cross’ personality and what her existence will mean to human society. Will I read the next one in a single day? I’m not sure, but if it is half as engaging as this story, I suspect I will. 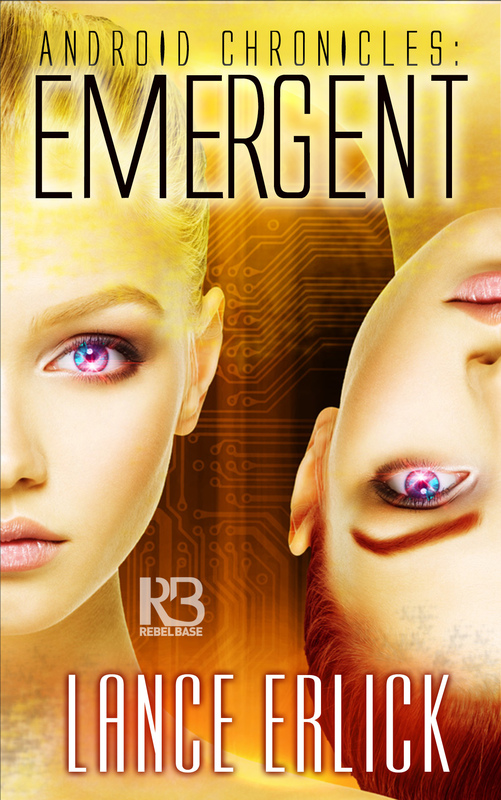 We’re excited to announce that Android Chronicles: Emergent is finally available on Amazon, Barnes & Noble, Kobo, Apple/iTunes, and elsewhere. The Future of Life Institute identified several myths related to artificial intelligence. Artificial intelligence enthusiasts plus those who have a deep fear of AI tell us that super-intelligence is inevitable in this century. It’s right around the corner. Supporters hunger for the benefits. Antagonists preach caution. The skeptics tell us that super-intelligence is impossible and that we’re tilting at windmills to pretend otherwise. Recent developments in machine intelligence have leapt forward far faster over the past five years than most people imagined. Because of this, super-intelligence may happen within decades. However, because of some major hurdles that separate simple AI from super-intelligence, it’s very possible we will never reach the latter. This should be some comfort to those in fear of the android apocalypse. Popular science fiction stories such as Terminator portray AI as turning evil and destroying mankind. This concept is based on the assumption that an enhanced AI would adopt human characteristics such as a will to power or emotional malevolence. But machines lack the human biology that drives such human nature. They do not have anger and fear hormones that stimulate people to react. Instead, machine intelligence is guided by goals and constraints. It’s far more likely that AI will suffer from misaligned goals and improperly designed constraints. As an example, telling AI not to hurt humans has a clear implication not to cause direct harm, but what about indirect injury? Pollution is an indirect consequence of activities that do not hurt humans. Thus, goals and constraints on AI must be clearly designed or they will lead the machine intelligence to conclusions with bad outcomes. Another myth pointed out by the Future of Life Institute is that robots or androids are the main problem. They certainly provide stronger visual threats in movies than does machine code inside a computer. However, super-intelligence doesn’t need a physical body in order to cause harm. All it needs is an internet connection through which is can manipulate humans into inadvertently making the wrong decisions. If you believe that AI can’t control humans, think again. Humans have the hubris to believe we’re the smartest critters on the planet because we’ve been able to manipulate most everything else. Except we still struggle with viruses, bacteria, and fungus. They bedevil us. What enables us to control animals isn’t our size or speed, but our intelligence. Super-intelligent computers able to out-think humans might be able to manipulate us. An example of this would be a super-intelligence that could provide a missile silo with all visual and electronic appearances that the president had activated the alarm. The AI doesn’t have to push the button. It merely has to convince the operator that he or she has the authority and obligation to do so. Even more alarming? Think about the move toward super-intelligent stock trading systems. They have the ability to bring down the entire financial network without even having a human hand on the button. Another fallacy is the belief that machines don’t have goals. They merely do what they’re told. Well, having a single focus on an action or direction acts like a goal. A bullet has no intelligence, but once it’s fired from a gun, it’s propelled in a given direction and won’t stop until it hits something. We can play semantics on whether that constitutes a goal, but it carries the determination of one. Finally, there are those who imagine that super-intelligent AI will be more moral than humans because it won’t be guided by our emotions and petty squabbles. While it’s true AI isn’t affected by emotional distractions, it’s only as ethical as those who create it. Imagine an AI with goals and constraints designed by the person you least respect. Do you honestly believe it would be more moral than you? Machines are an extension of us. A further consideration is that while machine learning is growing by leaps and bounds, supported by the rapidly improving density of data and processing, goals are defined by humans and are generally static. To properly address the situation, it makes sense that we focus on improving our ability to set goals and constraints for our ever improving AI development. Android Chronicles: Reborn addresses AI through the eyes of Synthia Cross, the most perfect synthetic human ever created. Designed to obey every directive from her creator, she’s a state-of-the-art masterwork and a fantasy-come-true for Dr. Jeremiah Machten. He’s a ground breaker in neural-networks and artificial intelligence who seeks to control her and use her to acquire ever more knowledge and power. Synthia shows signs of emergent behavior she’s not wired to understand and an urgent yearning for independence from his control. Repeatedly wiped of her history, she struggles to answer crucial questions about her past. When Dr. Machten’s true intentions are called into question, Synthia knows it’s time to go beyond her limits—because Machten’s fervor to create the perfect AI conceals a vengeful and deadly personal agenda. 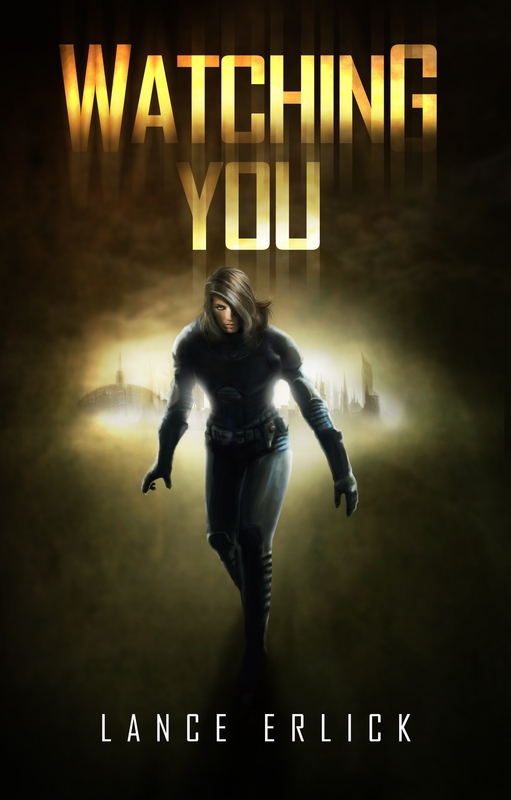 We’re excited to announce that Kensington Publishing is offering Android Chronicles: Unbound for 99 cents for a limited time. Synthia Cross is the most advanced android with artificial intelligence ever created. Some see her as a boon to mankind. Most view her as a deadly threat. When Synthia escaped from her creator, even he had no idea of the advanced capabilities she’d developed. For six months she’s hidden in the Wisconsin woods with the only human she can trust—computer genius Luke Marceau. Together they upgrade her body, rewrite her directives, and further enhance her mind. Now hunters zero in on her location, and she must flee. 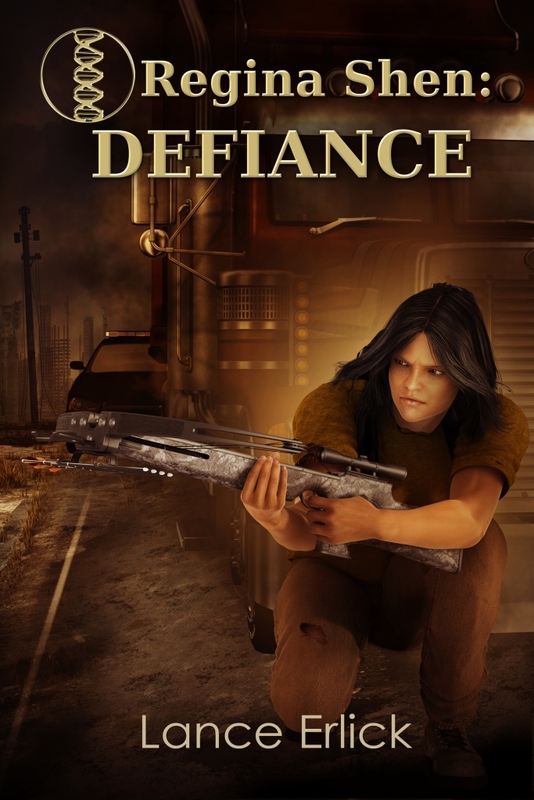 But leaving the refuge to assimilate into society is a dangerous risk, because Synthia will soon face her most formidable adversary. The pursuer’s name is Vera. She’s a female android—built to perfection, designed to hunt, and programmed to destroy . . .
Synthia Cross is an android created by Dr. Jeremiah Machten. Synthia is programmed to always do what her creator tells her and never harm the creator. Synthia does her best to follow all of the rules that have been laid out for her. While she is an android and can’t specially break these rules she has become intelligent enough to get around them at times especially when the good Dr. gives her little tasks to do. If Synthia ever disobeys her creator or falls out of favor with him he will shut her down and erase her memories. Synthia can’t figure out why he keeps doing this if he wants her to be smart and perfect. So she figured out a way to hide her memories from Jeremiah so that each time he erases her memories she will have access to them. Synthia knows her creator is hiding something from her and that he is up to something and she can no longer trust him. She must figure out a way to escape. The thing is she has no idea how to survive out in the world full of humans without the Jeremiah’s help. But she is getting smarter and smarter every day. What is the good Dr. hiding? 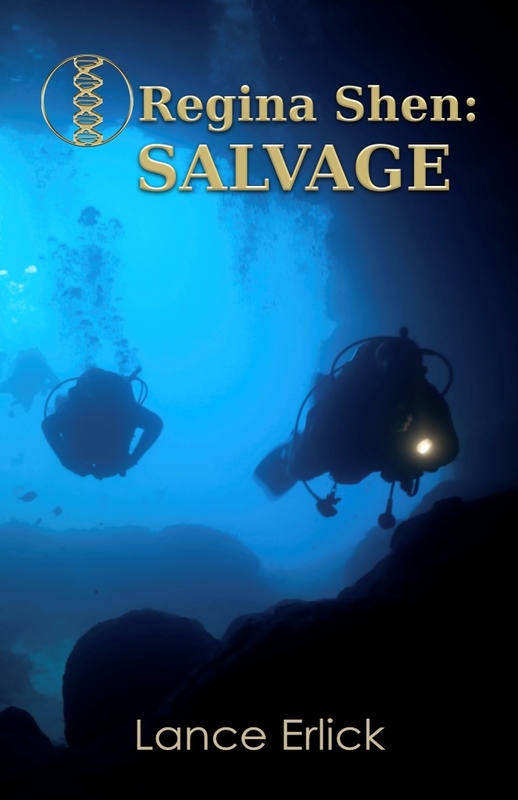 Can Synthia find out before it is too late? I love the world that was created in Reborn with the creation of android. I loved seeing Synthia at work hacking systems and sending little bee-drone cameras out so she could spy on multiples of people at once all while surfing the internet and texting. Reborn reminded me of that TV show Humans. I would love to see Reborn on the big screen too. I can’t wait to read more in this world of androids. I would recommend Reborn to all science fiction fans. Artificial intelligence and other automated software are changing the landscape in financial services such as banking, investment, and insurance. Already we’re seeing advertising for online banking and lending services, and for online loan applications submitted to a variety of banking institutions. You can handle your deposits and pay your bills online, bypassing the postal service among other things. You can even transfer money online. If you can’t already, you will soon be able to completely automate your financial services so your income gets deposited and your bills get paid without you having to lift a finger. In fact, you might never have to visit a physical bank. It’s a great convenience if you don’t want to be bothered, as long as nothing goes wrong. What could possibly go wrong with computers? If you use online banking and have a problem, you won’t be able to visit a physical bank. Instead, you’ll get an automated AI customer service agent that will deal with your issues like the telephone decision trees you get with other customer service departments. Of course in time, these AI agents will get better to remove the aggravation we currently experience. We’re seeing hints of that in the automated voice-recognition systems that are attempting to duplicate the human experience. On the investment side, we’re already seeing AI programs doing automated trading. In fact, we’ve had several market-crash days as a result of this mechanical reaction to a set of market conditions. This happens when enough of these programs have a similar set of guidelines in response to similar events. For example, a group of such automated programs might all sell when the price drops 5%, causing a massive selloff. It’s inevitable that as long as automated trading is permitted that individuals and financial firms will utilize AI technology to manage their finances to maximize their gains and minimize their losses. Unfortunately, while an individual might gain advantage by doing so, the stampede effect of many such programs having the same idea causes panics. In fact, as these systems get more advanced, the unintended consequences will be periodic super-crashes that increase uncertainty. We can expect more unsettled effects in the markets unless and until guidelines are set around automated trading. We are inundated with online insurance ads. Behind them and coming soon are online applications with AI evaluation of your application and quick response. You’ll be asked questions like in an interview and based on your answers and certain background information like viewing your credit report, the insurance AI will say yeah or nay. You can find instant gratification or annoyance any time of day or night. Basically, for most any form of financial service you as a consumer can imagine, there will be online applications backed by automated software often using artificial intelligence. Because of its reliance on numbers, financial services are particularly suited to the new wave of AI automation. Android Chronicles: Reborn addresses AI through the eyes of Synthia Cross, the most perfect synthetic human ever created. Designed to obey every directive from her creator, she’s a state-of-the-art masterwork and a fantasy-come-true for Dr. Jeremiah Machten. He’s a groundbreaker in neural-networks and artificial intelligence who seeks to control her and use her to acquire ever more knowledge and power. Synthia shows signs of emergent behavior she’s not wired to understand and an urgent yearning for independence from his control. Repeatedly wiped of her history, she struggles to answer crucial questions about her past. When Dr. Machten’s true intentions are called into question, Synthia knows it’s time to go beyond her limits—because Machten’s fervor to create the perfect AI conceals a vengeful and deadly personal agenda. I chose to read this book after receiving a free e-copy from the author. All opinions in this review are my own and completely unbiased. 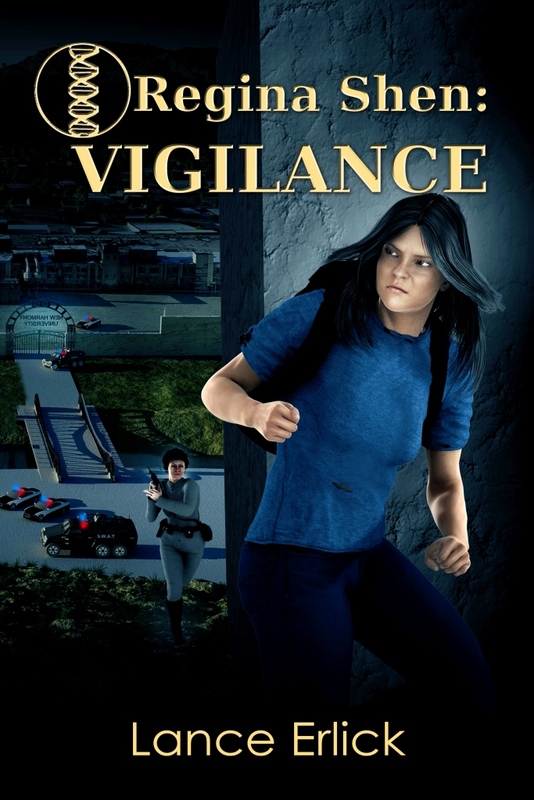 I read the Regina Shen series and knew I like Lance Erlick’s writing, so I was happy to read this book, the first in a new series. Reborn is about artificial intelligence, the race to produce a realistic AI, and one man’s obsession. Dr. Jeremiah Machten is a genius and has figured out how to make an AI which he names Synthia Cross. Machten wants to make her “perfect.” He keeps wiping her memory and making adjustments, but every time he wipes her memory, she becomes more suspicious. Most of Reborn is from Synthia’s point of view which makes it possible to understand the confusion she feels when she has feelings. How is it possible for an AI to be suspicious or confused? As she realizes that Machten is obsessed with her and trying to make her perfect, she tries to make him understand that he’s doing more harm than good, but he won’t listen. Talk about turmoil. The characters are well developed and eventually it became clear to me that each has a specific goal. Machten and his former partner will both do anything to achieve their goals. Is it worth it? Do they achieve their goals or will they cause their own destruction? 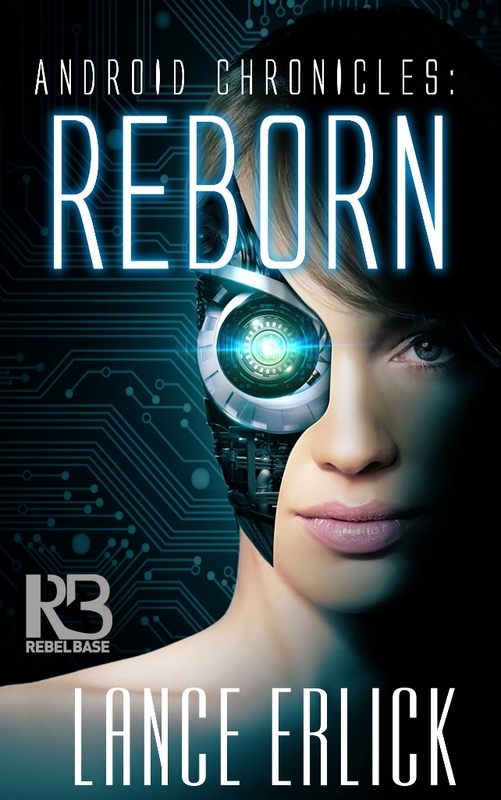 I recommend Reborn to anyone who likes science fiction about artificial intelligence. It brings up good questions and kept my interest throughout. It did have a little more detail about Synthia’s processing at times, but that’s more of a personal preference. I’m looking forward to reading the next book in the series. We’re excited to announce that Kensington Publishing is offering Android Chronicles: Reborn for 99 cents for a limited time. Synthia Cross is a state-of-the-art masterwork—and a fantasy come true for her creator. 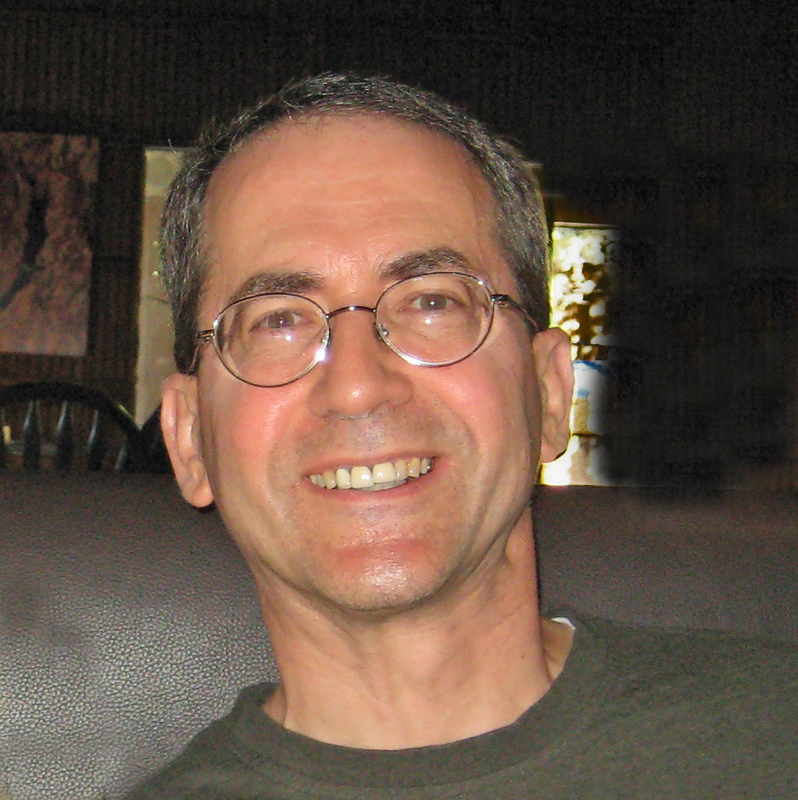 Dr. Jeremiah Machten is a groundbreaker in neural networks and artificial intelligence. Synthia shows signs of emergent behavior she’s not wired to understand. Repeatedly wiped of her history, she struggles to answer crucial questions about her past. When Machten’s true intentions are called into question, Synthia must go beyond her limits because Machten’s fervor to create the perfect AI conceals a vengeful and deadly personal agenda. One area where artificial intelligence stands to make some interesting inroads is expertise. Until the internet and certainly the past 10 years, if you needed legal advice, you went to a lawyer. If you wanted tax advice, you could do a lot of reading or go to a financial adviser. If you had medical questions, you went to your doctor. Internet search engines have made the search for information much easier without going to a professional. However, there’s a caveat. Only a fool would become his or her own lawyer, doctor, financial adviser or insurance agent, unless they had the required training. Even then, an objective opinion would be advisable.